The DraftLine SmartSystem has been designed to create a user friendly application that allows the seamless flow of information between the “Service Manager” and his/her “Technicians”. Information supplied by the Technicians feeds directly to the web-based application. The Service Manager then has the ability to manipulate this data in various ways by building reports, rerouting technicians, tracking maintenance and processing orders. The application framework has been developed to adhere to proper maintenance protocol standards as set forth within the Brewers Association Draft Beer Quality Manual. Revisions are periodically made based on user feedback as well as changes in the Draft Industry. Recurring trips such as Line Cleaning and other scheduled maintenance info. 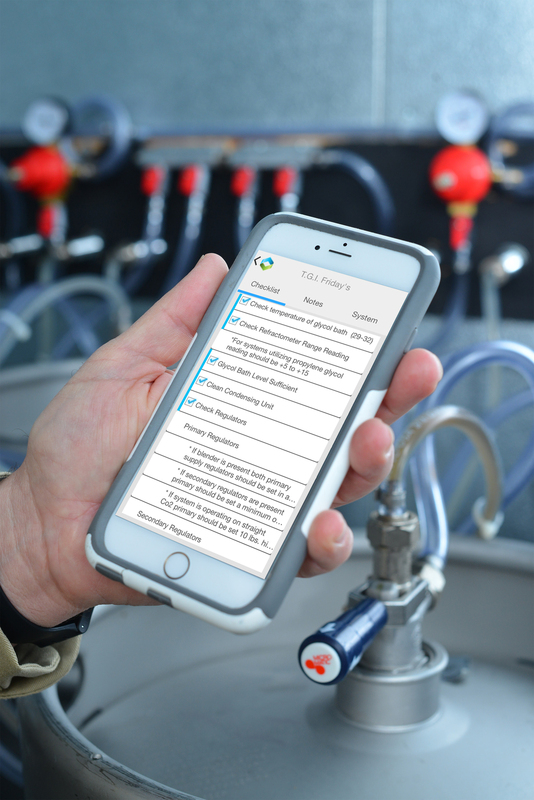 The DraftLine SmartSystem App is a unique technology in the draft industry that will allow its users more thorough control over draught line service and maintenance. The DraftLine SmartSystem is comprised of both a Service Manager Database as well as a mobile Technician App. All data input by the Technician feeds back to the Service Manager Database. The Service Manager then has the ability to customize the setup for each location serviced by selecting a variety of duties that the Technician will need to perform. The following operations are available. In order to ensure that each customer receives the freshest product possible, it is essential to clean and maintain every system. The DraftLine SmartSystem is a user-friendly application designed to increase your draft maintenance and service business' productivity. The user now has the ability to map out entire draft systems, track brands, provide completion reports to customers and utilize in depth reporting. The activity feed details events as they happen. GPS tracking with time stamping allows companies to make more effecient use of their technicians time. Send service trips to the closest technician and set up automatic recurring trips that take the guess work out of scheduling routine maintenance. Breweries and distributors may also choose to track where they are gaining or losing market share down to the specific brand. Reports required by the breweries are now just a click or two away.